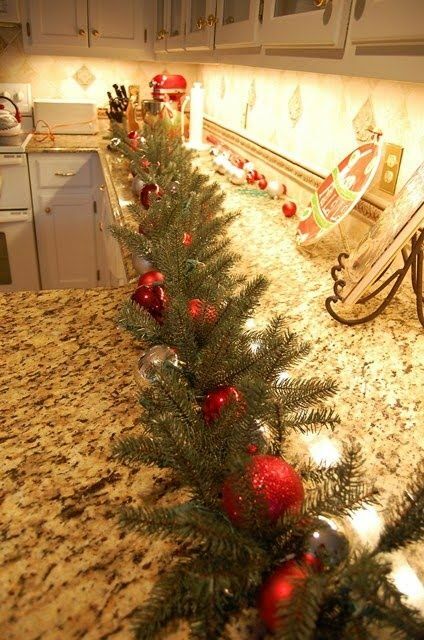 Are you looking for a way to save on the cost of decorating for Christmas while still keeping things fun and festive? Well, you’ve come to the right place. I’m going to share with you some of the internet’s best ideas for a beautiful DIY Christmas garland. Some ideas are new and fresh while others are perfect for celebrating (and decorating for) a good, old-fashioned Christmas. Are you working on a tight budget and afraid you won’t be able to come up with a gorgeous garland idea on the cheap? Well, this tutorial will help you overcome. All you need is cheap garland, a few evergreen sprigs, and you’re on your way. Do you have some old sheet music hanging around your house you won’t use? Could you print your sheet music off the internet? 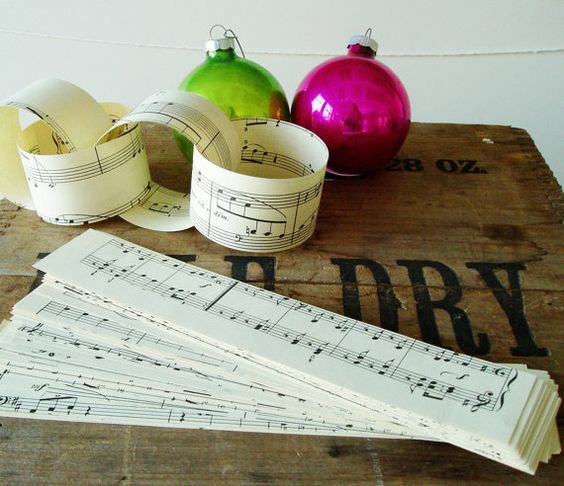 Consider cutting the music into strips and forming a paper chain. It would be beautiful to drape around your Christmas tree this year. 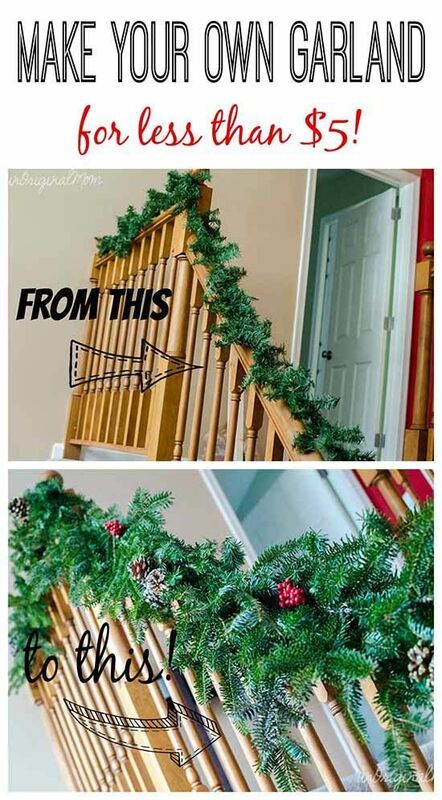 Chains are a great way to make a garland. They're also easy enough so children can help you create the DIY Christmas garland. 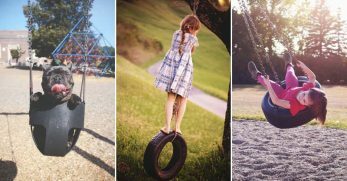 The idea is to take old scraps of fabric, form them into circles which connect as a chain and drape the finished product wherever your garland is needed. I’m planning on using this as one form of garland on my tree this year. I love the look of the popcorn and the cranberries together. Plus, it seems simple enough to make. This tutorial walks you through the process of stringing popcorn and cranberries together on a piece of thread. 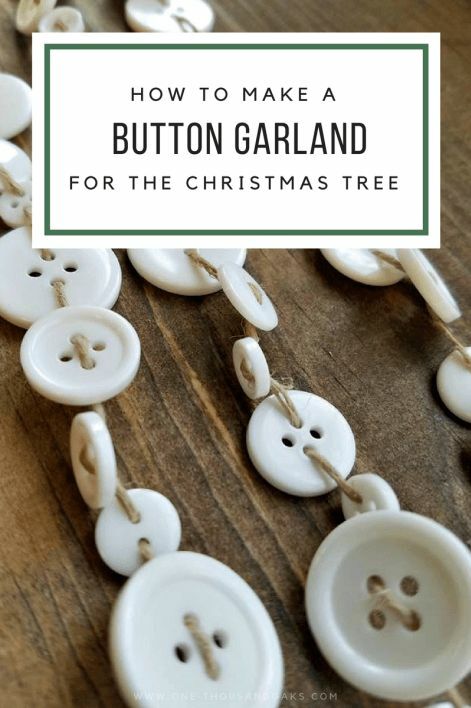 If you have some old spools of thread hanging around your craft room, a few spare buttons, and some material which could pass as Christmas colors, you have everything you need to make this garland. 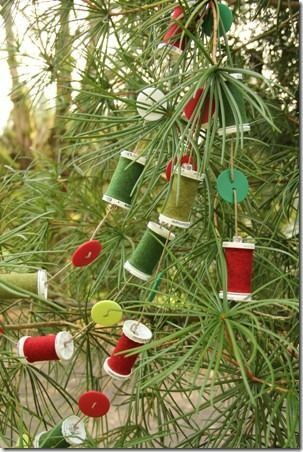 Basically, you wrap the empty spools in the materials and rotate between spools and buttons on the string holding the garland together. It’s unique and would certainly be eye-catching this holiday season. Do you have a love for snowman decorations? I understand because my parents love to decorate their home with traditional Santa Clause décor. 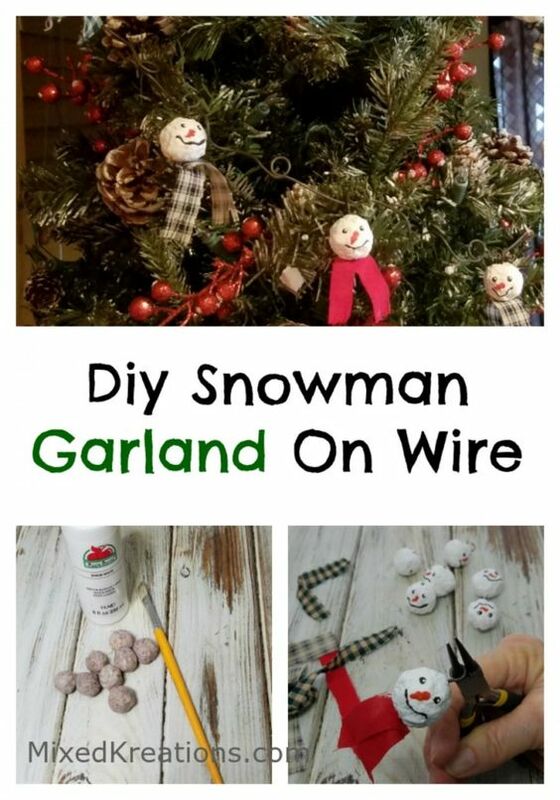 Well, this snowman garland will be right up your alley if they’re your passion. The snowmen are made from paper beads which is a unique touch. What a great craft for the kids to get involved in this holiday season! 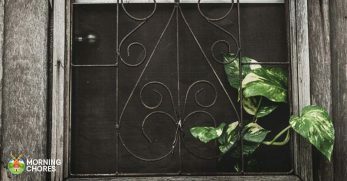 Whether you have old puzzles which are in need of a new purpose, or you purchase a few puzzles from the dollar store, the craft should be affordable. Once you have your supplies, you paint the puzzle pieces green to represent the holly. 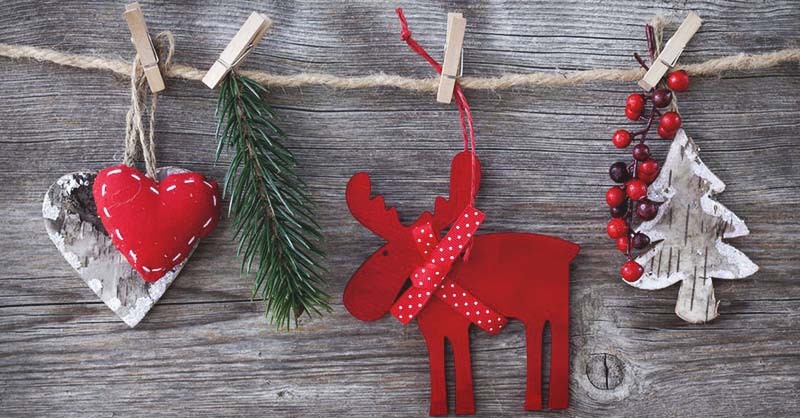 Finish the garland off with red pom-poms and attach it to string to hang and decorate your home. 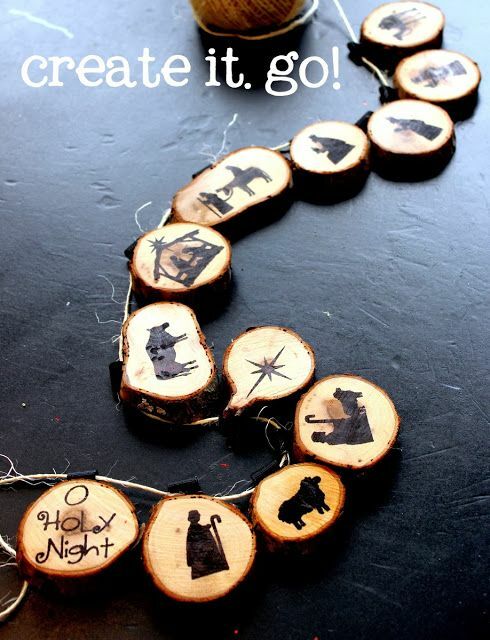 This DIY garland is a creative way to share the story of Jesus through your decorations. 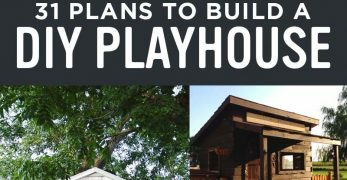 It all starts with round wood chips. From there, you draw different nativity scenes on the wood chips with a permanent marker. The wood chips are hung on twine and displayed as decoration. If you like the look of making paper chains, but you want them made of something a little sturdier, give this tutorial a try. This garland is the perfect idea for those who crochet. 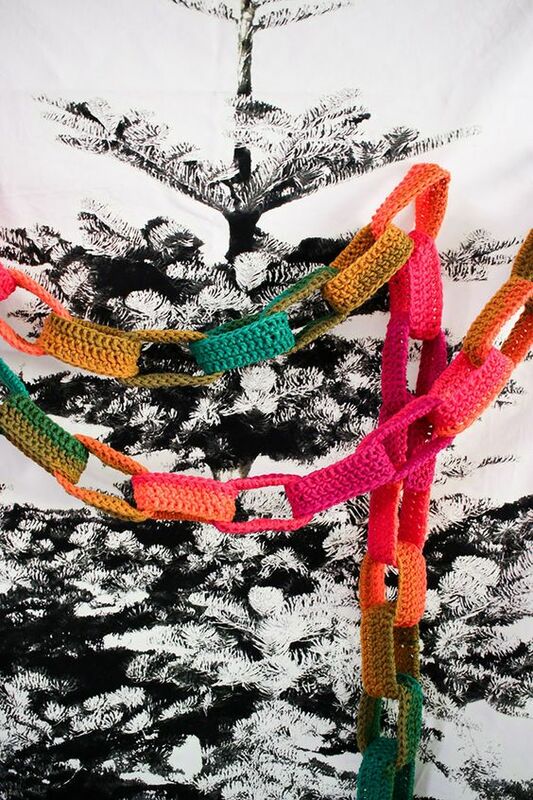 You can crochet the chain in different colors to make it resemble a paper chain. My mom made this garland for me last year. I displayed it proudly in my kitchen because it’s a festive way to add some beauty to a room. 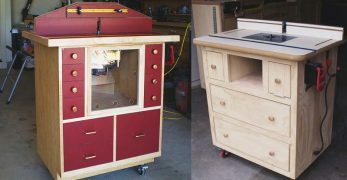 But it’s also a simple project to make. My mom said it took her only a couple of hours, and my stepdad even wanted to help create it. 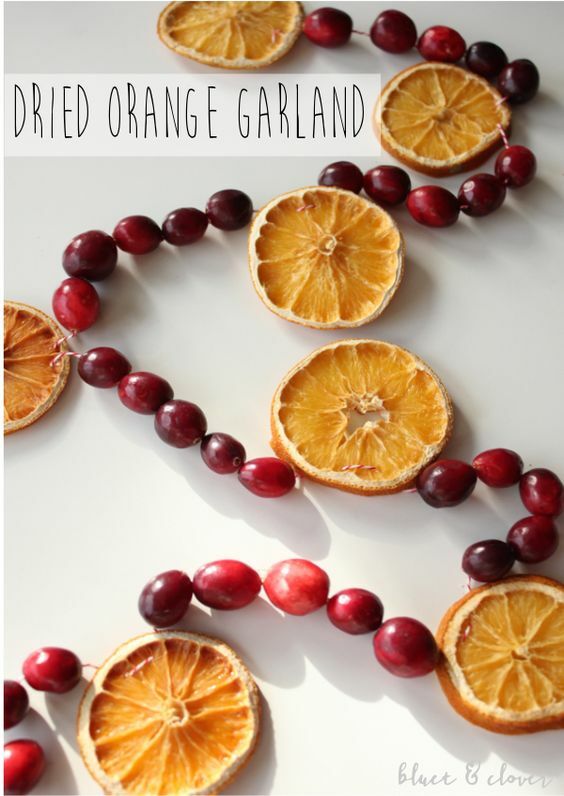 This is a gorgeous and simple DIY garland to make and decorate with this year. 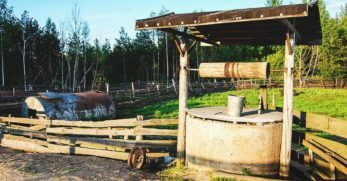 The salt dough is nothing more than flour, salt, and water. 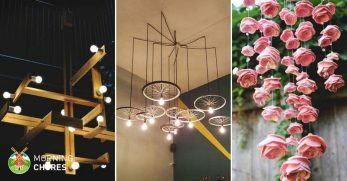 You create the different shapes, hang them from a string, and you have a modern garland which didn’t require much to make. Do you have a stairwell which needs a great deal of attention during the holidays? This is a stunning option to make it the centerpiece of your holiday décor. What makes this even better is it’s created from stock paper, backdrop paper, and pipe cleaners. 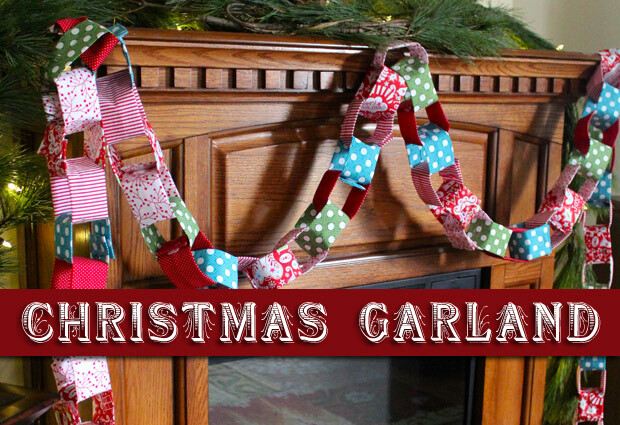 There are a written tutorial and a video to walk you through how to make this garland. 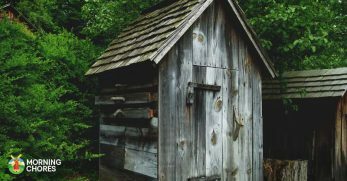 This is such a fun and old-fashioned style of décor. 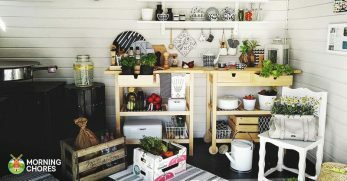 I’m in love with this idea and plan on using it in my own home this year. You’ll dry a variety of fruit and space them out with walnuts in between. 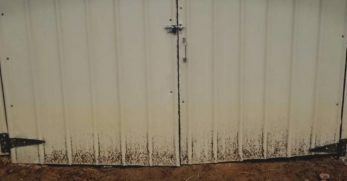 It’s an easy and inexpensive way to add color to your home this holiday season. This garland is a little different than the other fruit garland above. It uses only dried oranges, which offer a brighter color. However, the spacers for the oranges are cranberries. Cranberries gives even more color to the garland and is a gorgeous way to celebrate the holidays. 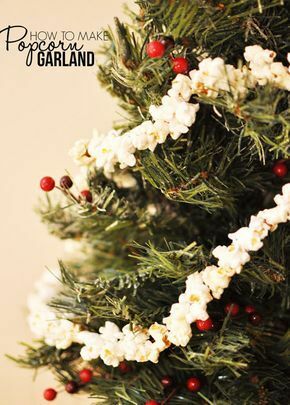 This is a fun DIY Christmas garland to drape across your mantle or even down the front of your Christmas tree. It requires scrapbook paper and stick-on letters. Once you have the paper cut how you’d like it, you attach the stick-on letters. Run the string through holes you create, and you have an easy and festive DIY garland. 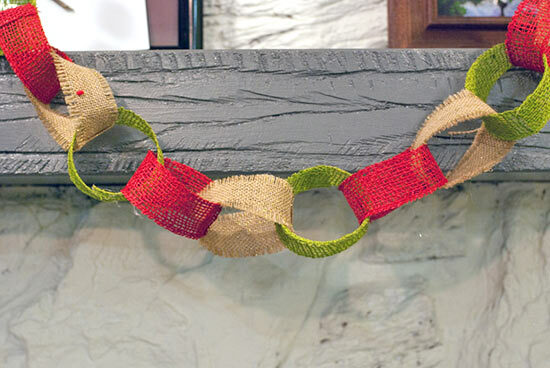 Chains are a traditional way to make homemade Christmas garland and decorate for the holidays. 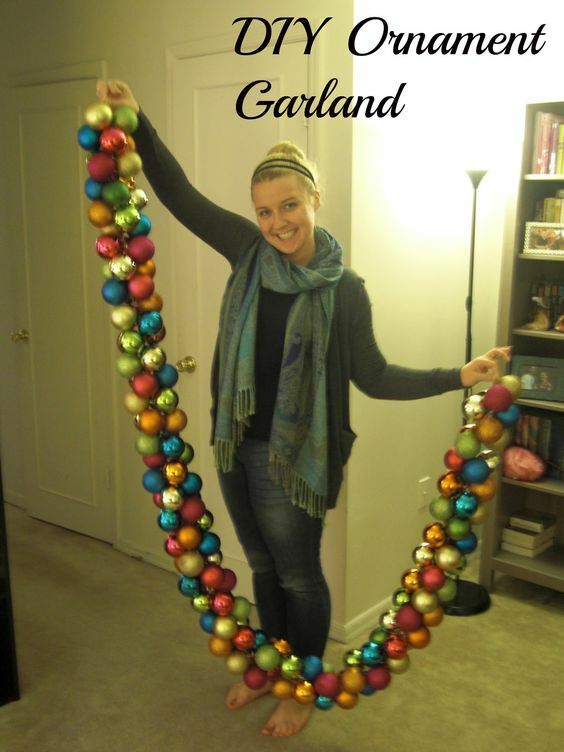 This is another tutorial to create a chain garland. Instead of using paper (which can be flimsy) they chose to use burlap ribbon. 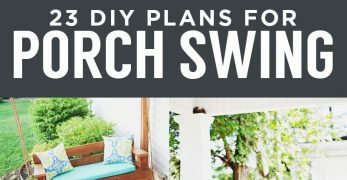 It will allow you to reuse the garland for years to come. 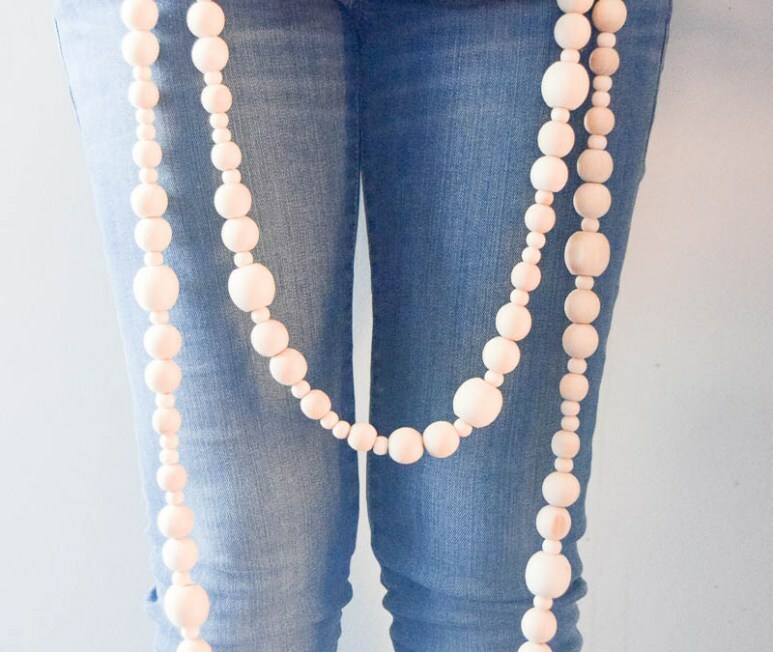 This is another chain garland option which is too cool not to share with you. Do you have old books you’re no longer using? Then cut the pages out into strips. Glue the ends together and form a chain of the paper. 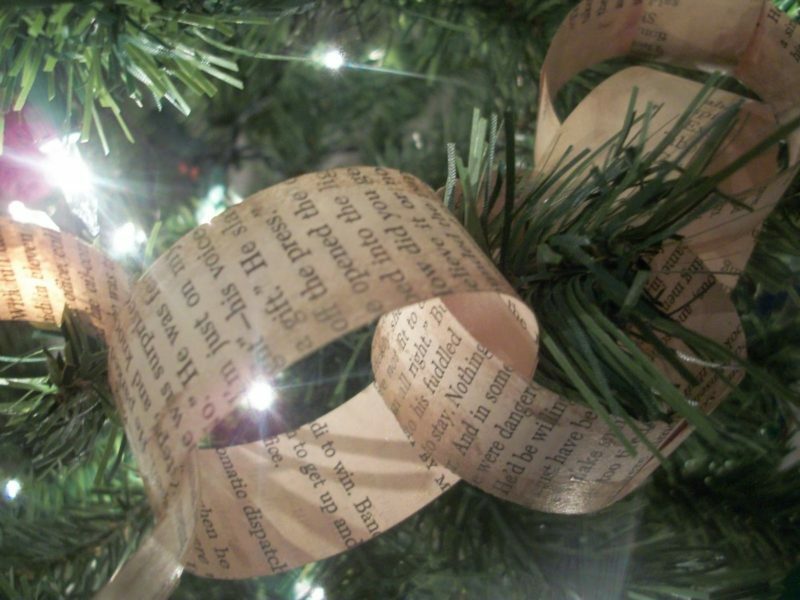 A great way to deck your halls this holiday season. Are you going for the farmhouse look on your Christmas tree or around your home this holiday season? 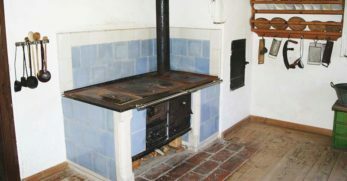 Why not use wood to decorate? 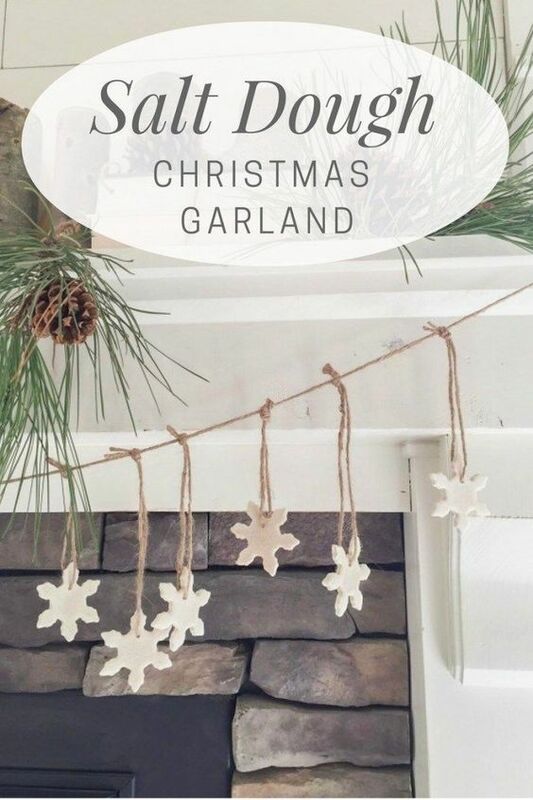 This tutorial shows you how to make a gorgeous wood garland which is sure to make any home stand out. 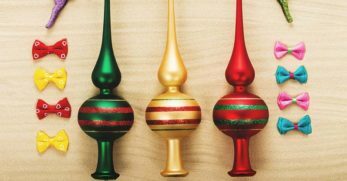 Holiday ornaments can be inexpensive when you purchase the different colored balls. 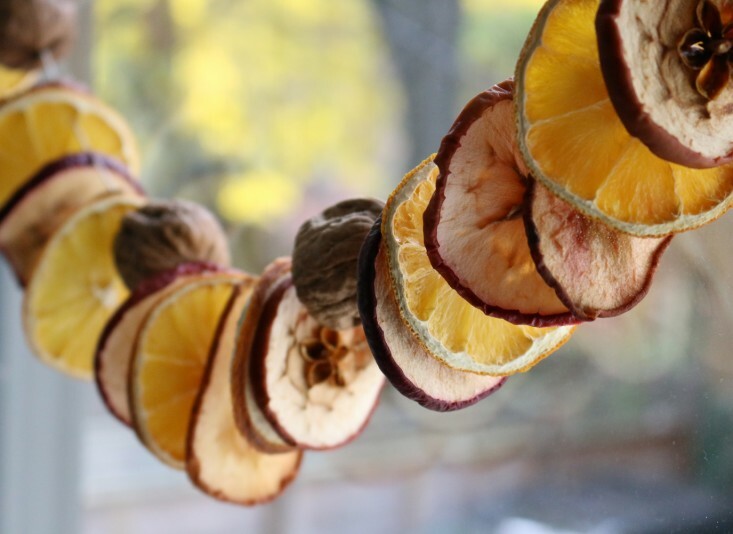 Which is why this garland is not only colorful but should also be inexpensive to create. You’ll string the ornaments onto a thin ribbon until you have a full ornament garland perfect for covering your front door, to go on your tree, or even wrap around your mailbox. What a fun way to utilize free items most stores will give you! 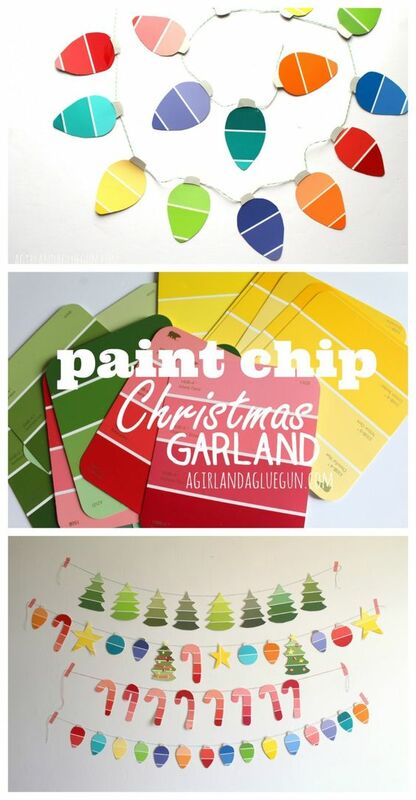 Browse through the paint aisle and pick out a color scheme for your DIY Christmas garland. Bring the paint chips home, follow this tutorial to string them together, and create a beautiful masterpiece. Do you adore the look of bleached pinecones? 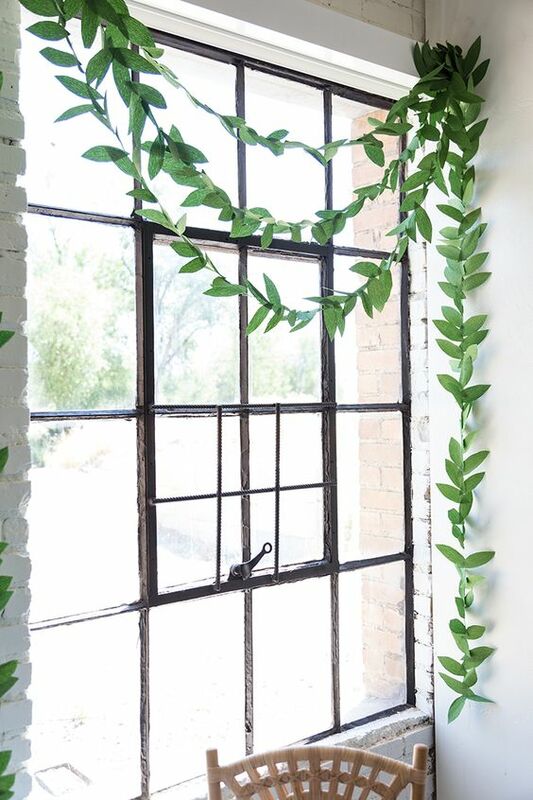 You’re going to love this rustic garland if you do. It’s a strand of bleached pinecones. But a splash of color is added with cranberries. It’s perfect to brighten up your mantel or even to add some color to your Christmas tree. I’m into burlap. 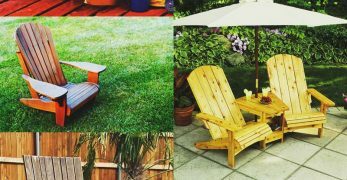 It’s a durable material and is pretty all by itself. 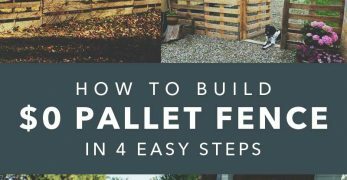 If you’d like to make burlap part of your decoration theme this year, you must check out this tutorial. 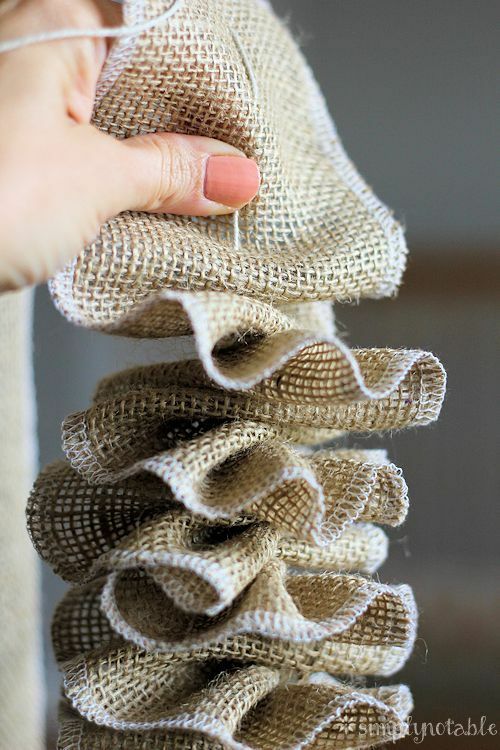 They walk you through how to make a simple (but pretty) burlap garland. 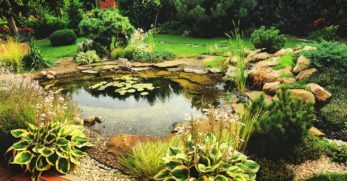 Decorating any part of your home with it would be beautiful. 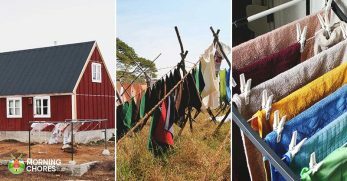 Do you know how easy it can be to find loose buttons hanging around your home or even to purchase inexpensively? Take this bargain item and turn it into a beautiful garland for Christmas décor around your home. This tutorial can help you. Are you working on a tight budget for Christmas? Don’t assume you must skimp on Christmas décor to save the budget. Instead, find super cheap items to decorate with. 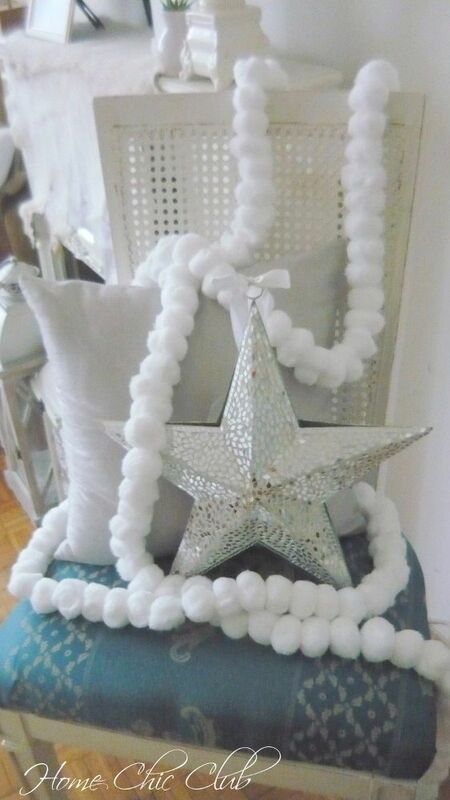 In this case, cotton balls are used to create a snowy white DIY Christmas garland. 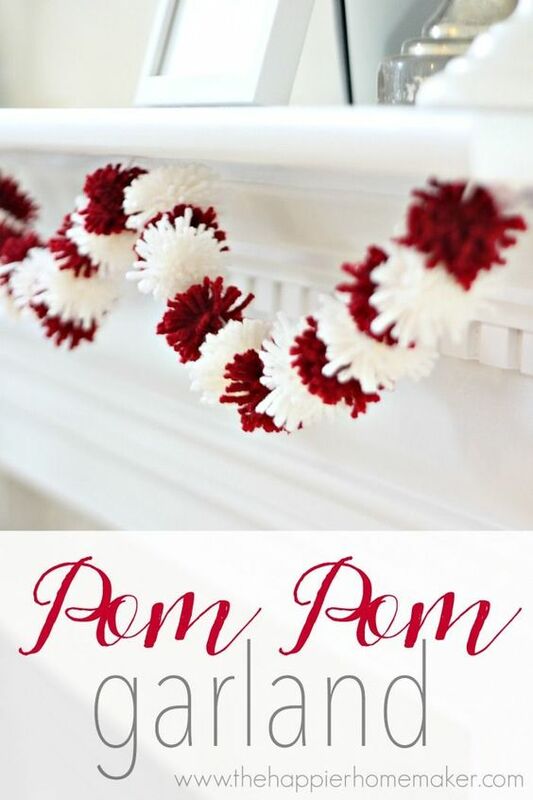 This pom-pom garland is multi-purpose which makes it that much better to make. 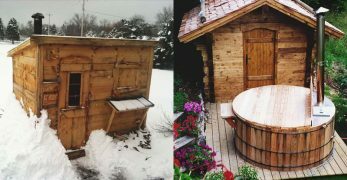 Not only is it DIY and frugal, but you can use it for more than one holiday. 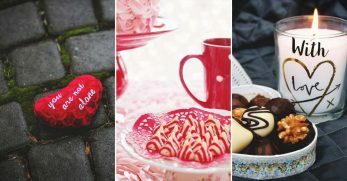 The tutorial was initially introduced to celebrate Valentine’s Day, but with the colors, it would work well for Christmas too. 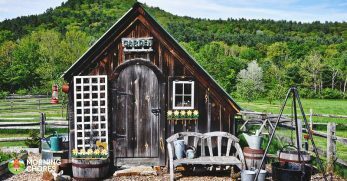 Have you ever seen some homes decorated for Christmas, and they look as though they stepped straight off the cover of a magazine? 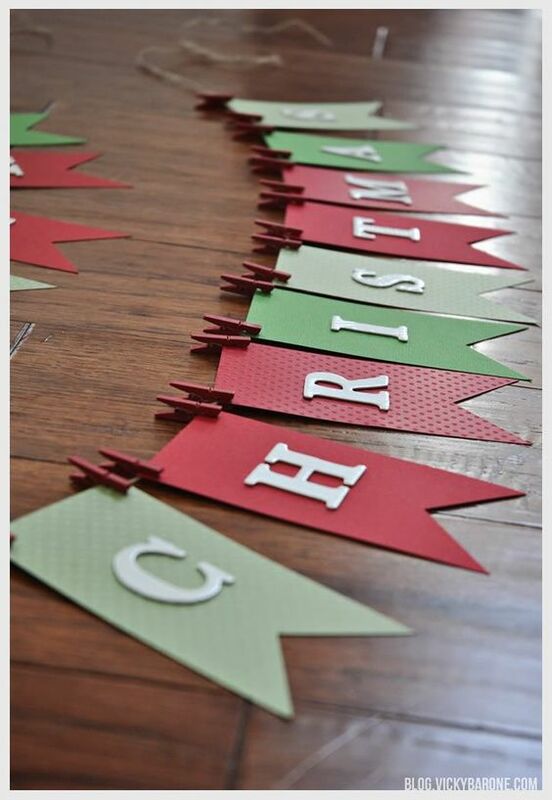 Well, thanks to this tutorial, you can create a DIY Christmas garland which will look the same. 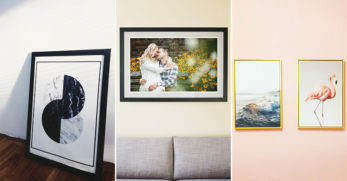 They give you step-by-step instructions, and it could help make your home appear magazine worthy this holiday season. Do you have a hand for art? 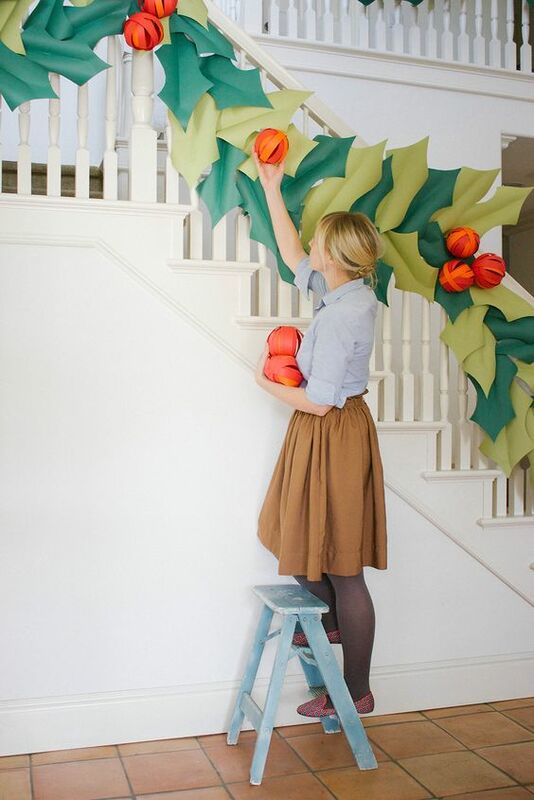 Then this artsy DIY garland could be exactly what suits you. It requires green crepe paper, the provided template, scissors, and a sewing machine. If you can follow a few simple instructions, you could have this gorgeous garland strung all over your home this holiday season. Have you ever made a blanket with rags for the edge? That is what this DIY Christmas garland reminds me of. 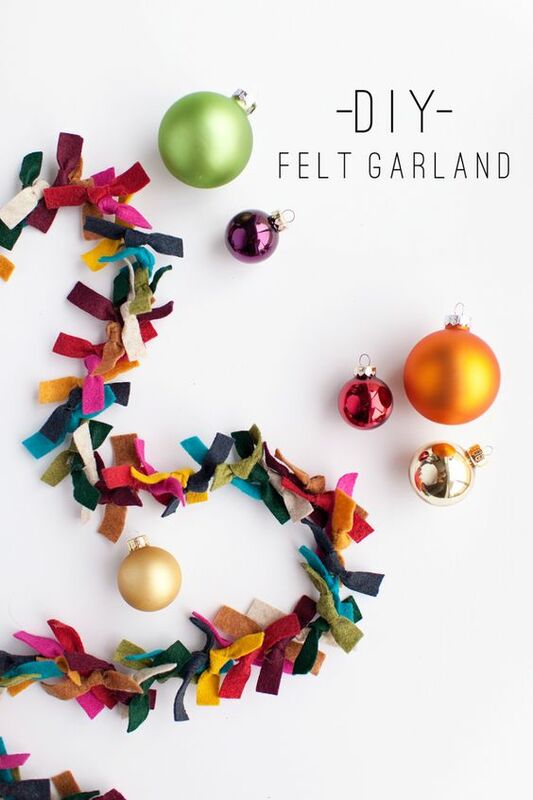 You tie different pieces of felt together to form a chain of garland. You could choose different color strips of felt if you have a more colorful theme, or you could go with more traditional colors. The options are limitless. This woman gets me. She knows I love beautiful things, but I can’t afford many of the price tags attached to them. What did she do? She went home and figured out how to make what she liked herself. Here’s a tutorial to help you get the look you love without the hefty price tag. Do you like the natural look of fresh garland? 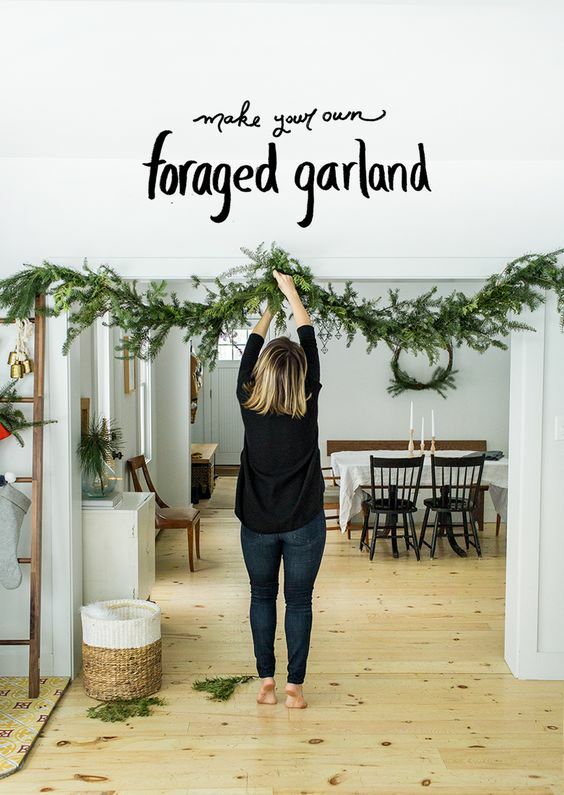 Why pay an arm and a leg to purchase fresh garland, if you can forage for your own? This tutorial walks you through the process of foraging and creating your own fresh, gorgeous evergreen garland. With these 30 different DIY Christmas garland ideas you can create beautiful holiday décor yourself. 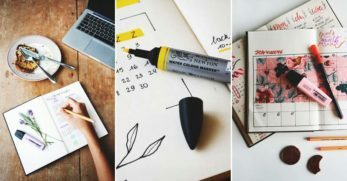 Whether you’re a crafty person, or a person purely trying to save some money this holiday season, these ideas are for you. I'm sure you’ll find at least one you adore and can use year after year. 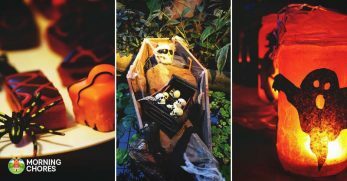 What a fun way to make new memories during this festive time of year!